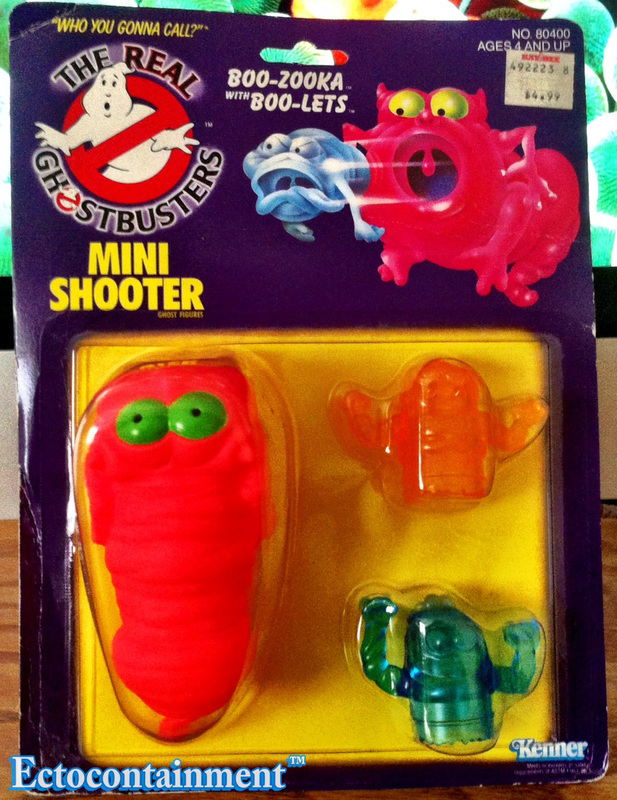 In 1988 with the larger first series ghost figures and larger Gooper Ghosts already on the market Kenner created and sold smaller Mini ghosts. Which are different, separate, and more affordable ghost figure sets. At $4.99 USD, (1980s dollars, nice) even your allowance money made these obtainable toys. Boo-Zooka™ is a cocoon shaped wormy ghost who was sitting around one day with his smaller ghost buddies, known as Boo-Lets.™ The orange and blue Boo-Lets look up (literally and figuratively) to Boo-Zooka. They want to be like it and listen closely to what it has to say. Boo-Zooka had this idea to start a band. The orange Boo-Let was nervous to ask, but it asked Boo-Zooka, what will we call our band? Boo-Zooka proclaimed “Boo-Zooka with Boo-Lets” Both Boo-Lets were so glad to have their names in the band name, they didn’t question that none of them could play instruments or had any money. Boo-Zooka knows best.